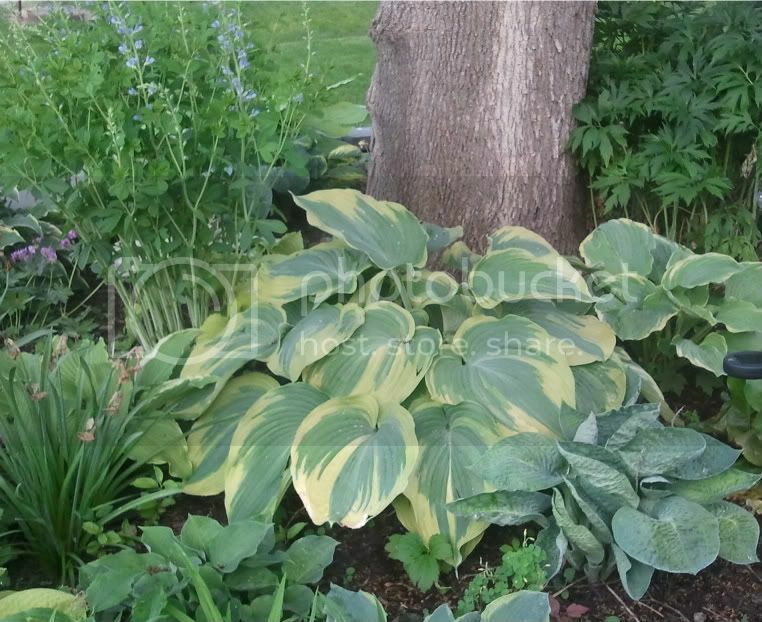 I end this week's series with one of my favorite hostas, hosta 'Earth Angel'. It's definitely in my top 3, and might even put it at number one. I love the three colors in the leaves. The large leaves are blue green with an irregular white border, but sometimes there is almost a chartreuse color blend between the blue green and white. Once you see 'Earth Angel' you will always be able to pick it out from any other hosta. It's leaf color is that unusual. 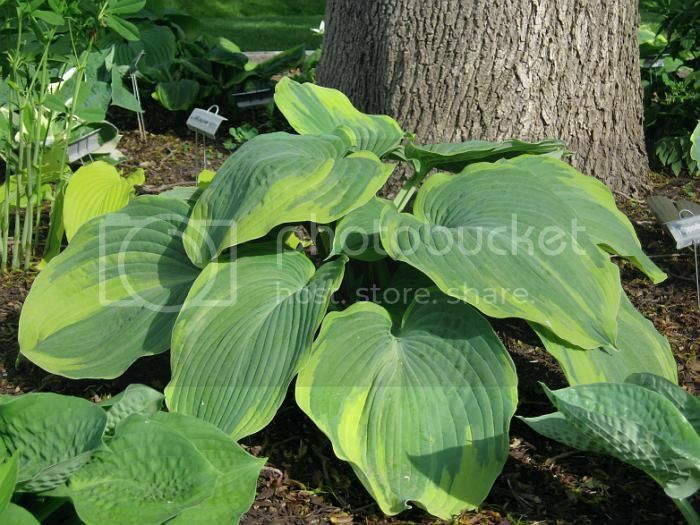 It's a hosta you will want to showcase in your garden. A favorite of mine as well, but mine doesn't look nearly as nice as yours!